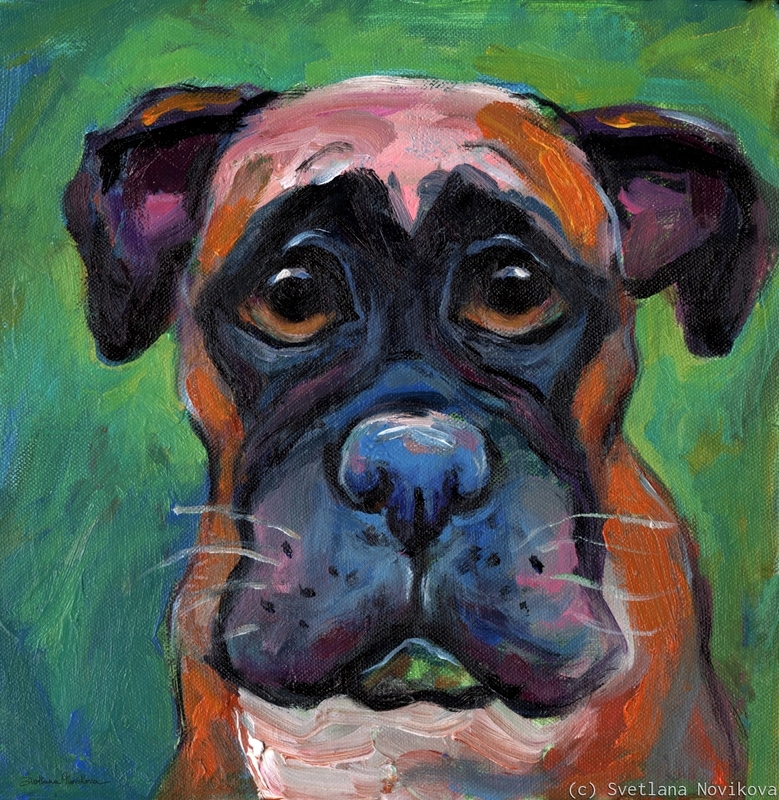 This whimsical boxer puppy dog painting was done with acrylics on 12x12 canvas. Colors may look slightly different on your computer. I am also available for custom pet portraits from photos. 5.125" x 5"9.25" x 9"13.375" x 13"17.5" x 17"21.5" x 21"23.375" x 22.875"